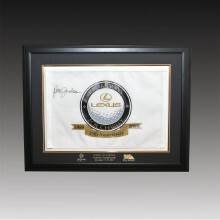 Display your favorite golf ball and 8x10 vertical photo in our highest quality shadowbox. It’s easy to use. 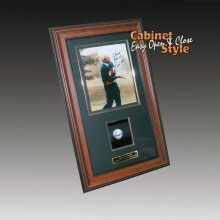 Just open the hinged door and place your photo and golf ball inside. 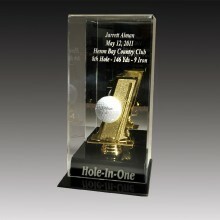 The display features a clear acrylic window and our 2 3/8” genuine wood frame. You can choose a black, brown or mahogany colored frame.